It has been confirmed that our attic conversion won’t start until August now. It feels like this has been dragging on for years but I guess that’s another lesson to learn when undertaking house renovations; they never run smoothly. As you can imagine though I’m still planning and desperate to put some of my ideas into action. This week I’ve been looking at Houseology, a gorgeous home interiors site formerly known as Occa Home. They were kind enough to invite me to try out some of their products to use in the loft, and whilst I can’t yet show you how they’ll look in situ, I can showcase a few of my choices in advance. I’ve not been able to choose a colour scheme for the bedroom yet, I find that very hard when I haven’t seen the actual space. 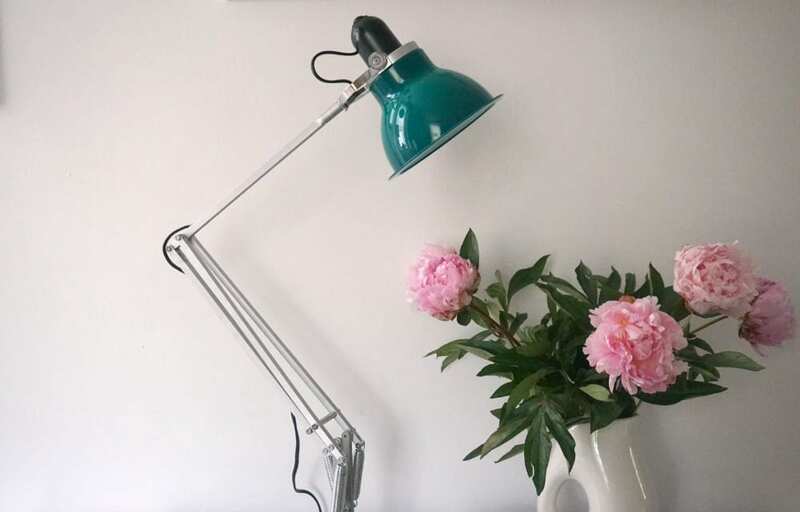 However, the Anglepoise lamp above, with its stunning emerald-green shade has really inspired me. I’m still a big fan of metallics (do you think bronze will take over from copper in the Autumn?) and love how well this works with the golden hue of the richer metallic hues. So, with this in mind, I’ve done a little more searching on Houseology to see how I could make this work. I’m aiming for contemporary, clean and minimal with pops of bright colour. Oh and don’t forget my copper! 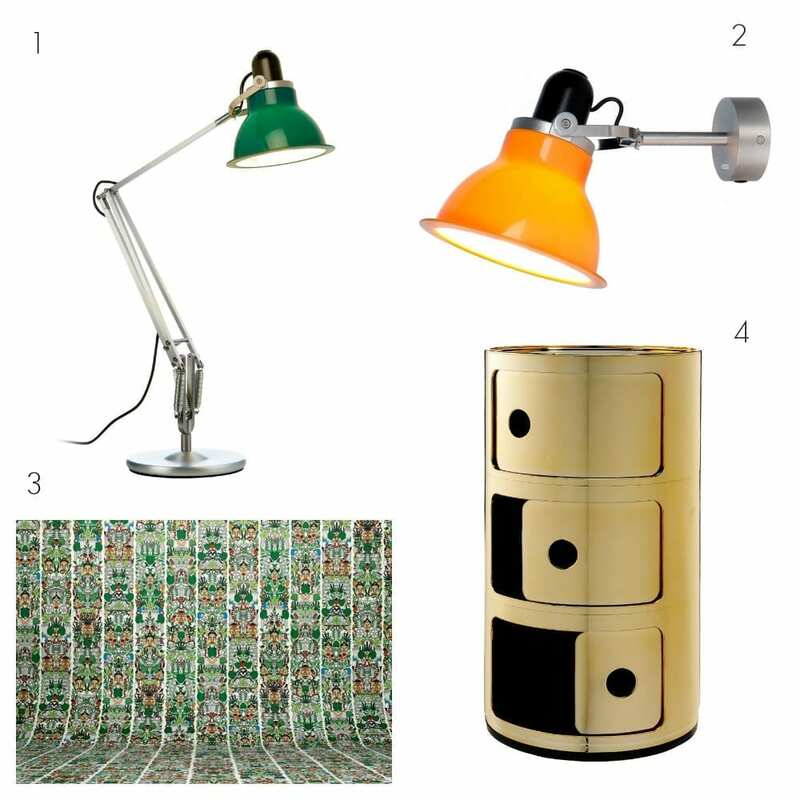 I’ve always loved the Kartell storage units and seeing them in their metallic colourways had me hooked instantly. I have two of these in copper ready for to be used as bedside tables in the loft. And the Anglepoise wall lights are going to look sleek and sharp above them, offering a bright pop of colour to that part of the room. I’m hoping to keep the bedding simple and pure with white sheets and soft, neutral throws. I can’t wait to see it all in place. The wallpaper from NLXL is the perfect colour combination to help the pieces hang together and shows how the lush green works so well with the warmth from the copper unit. I’m still not decided on the walls yet so want to keep my options open, but this design really caught my eye. In fact, the whole wallpaper section on Houseology had me browsing for hours. Once the conversion is complete, I’ll be showing you how it all looks in place, and I just can’t wait. The anticipation is killing me. Thanks to Houseology for gifting the items, the words and opinions are all mine. Ah I’m lusting after a loft conversion too! 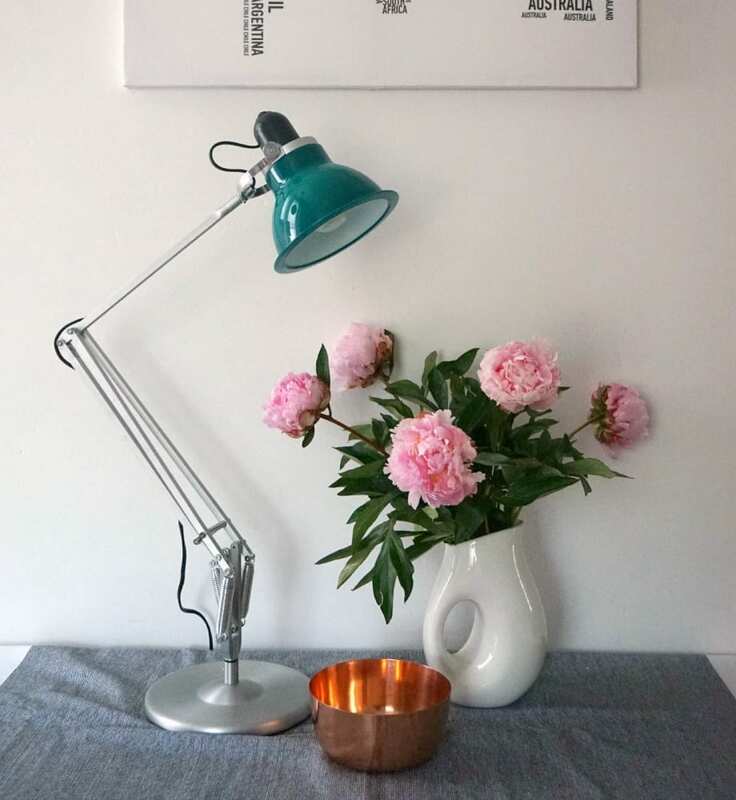 However we do have that Anglepoise and I can confirm it looks lovely in situ. We have it in the corner of our kitchen next to the sofa and in front of a deep green wall. Sadly it’s just cropped out of the last pic in my latest post so I can’t show you…but I CAN confirm its gorgeous! !